Mat & Floor Mop Rental Service - Clean Uniforms & More! Customized mat and mop services for all industries. All Clean Uniforms and More! programs are personalized for any size company and in any industry. You will have your own Clean Uniforms and More! service rep who will create custom programs suited to your specific needs. Plus, you will have the opportunity to sample products for free, which will ensure that your selection is ideal for your needs. All mats and mops are processed in a controlled environment. Nothing is outsourced. Mats can provide improved comfort, productivity and reduce employee fatigue and injuries. 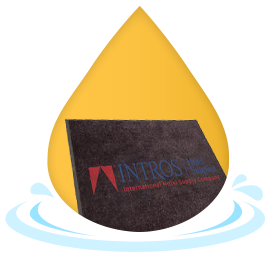 Mats with your company logo or name go a long way in branding and promoting your company while providing safety and comfort. Mats can even be customized to fit any size and shape space. 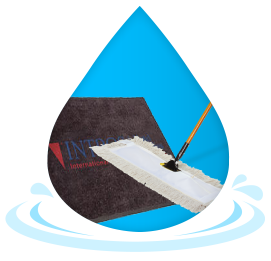 We can develop a custom mat program suited to your specific needs. Mops are an important part of floor care. Normal, everyday traffic spreads dirt, dust, grime and moisture throughout your facility. Your maintenance staff, armed with clean, quality mops, can capture these menaces before they accumulate and spread. Clean Uniforms and More! offers a wide choice of highly durable wet or dry mops. Your maintenance staff, armed with Clean Uniforms and More! mops, can mop up floors quickly and efficiently. 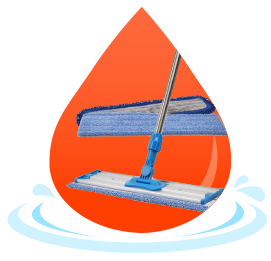 We offer a wide choice of highly-durable mops in all styles and kinds (wet or dry). With the proper selection of Clean Uniforms and More! mats, you can dramatically reduce the maintenance of your facility. Your maintenance crew will actually spend less time sweeping, mopping and vacuuming floors throughout your building. The result will be lower labor costs for your business and more money for your bottom line. Industrial products and services that really work for you and your business! Get A Free Quote! © 2019 Clean Uniforms. All rights Reserved.